Following on from my previous Frosted Flowers post, I decided that I could experiment with the beading on the corset type belt of a faerie dress ... and here is my first attempt! 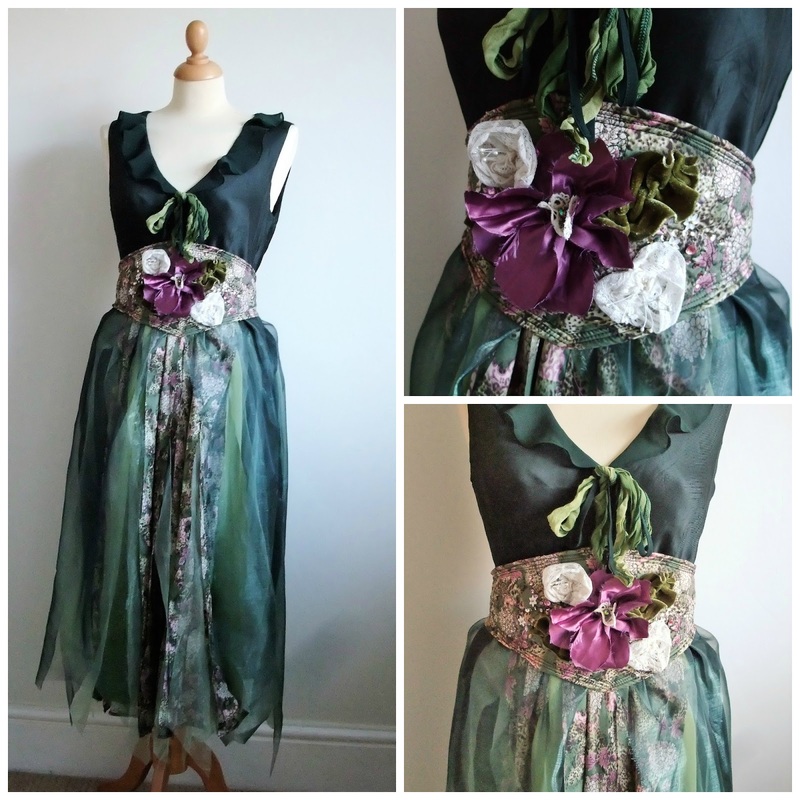 The dress had a dark green underdress and onto this I stitched layers of silk & organza which I cut into tattered ribbons. The corset belt was made from softly wadded & quilted silk which was hand beaded and I made some flowers from vintage textiles & antique lace I had been treasuring. I thought the dress would be lovely for a woodland themed wedding, and based the styling loosely on romantic ballet costumes. I am planning more faerie dresses ... the elves and I are busy sewing right now!